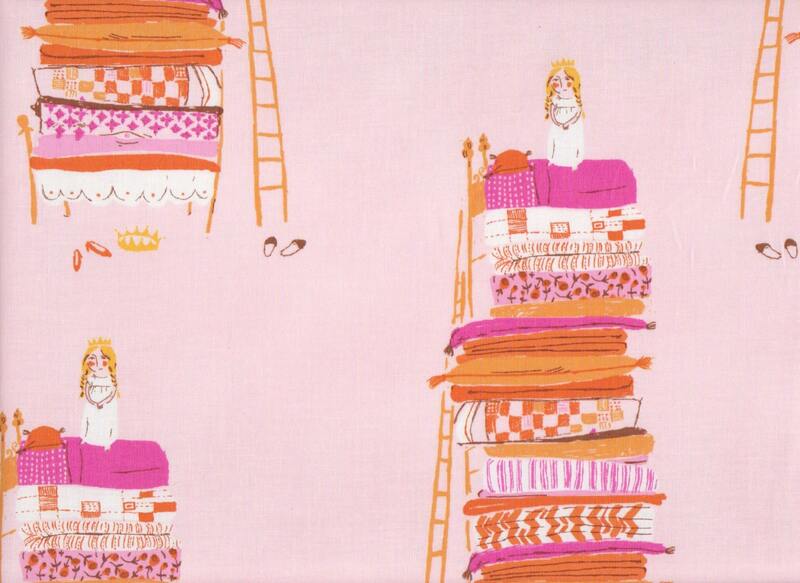 ♥ HR9658 Princess and the Pea on Pink. Far Far Away cotton fabric collection by Heather Ross. Hard to find and out of print fabric. Priced by the half yard (1/2 yard = 18" x 44": metric 46 x 112 cm}.